Coney predictions, wants n thoughts. The little park on the banks of the Ohio that is contiously better each year. The park that moved north, was reborn and has continued growth, fun, foid on the banks if the Ohio. So for 17, 18, 19 thoughts wants predictions. 17 if the Son of Coney to the North clises Race for your lufe let Cedar Fair make a deal to bring it home. 18 sit down island breeze diner showcasing good food yesteryear history of Coney and incredible wait staff. 19, Sunlite Adventure family raft ride. Lets hope this little park grows and grows. A nice family woodie is what I would like to see. A dark ride and keep growing but stay as a family friendly park. Trying 2 put two puctures on can someone help? It would be awesome if Coney Island bought and refurbish the Big Dipper from Geauge Lake and move it to Coney Island. That would be a perfect addition. How much of the original Zippin Pippin was refurbished to the new one? Same question but Wild One at SFA. I haven`t heard any rumblings yet about what could be new for 2017. With the big addition this year at Sunlite Adventure, hopefully the rides side will get something new. Only time will tell. If I hear anything that I can talk about, I will certainly let you know. I know that was last year. We got about 9 inches of water in the rides office from that flood. I could see Coney getting a wooden coaster again. I could see more along the lines of Voyage with a steel structure to support the wooden track. Great American Scream Machine at SFOG floods frequently. It does just fine. Then what is it about SFOG that makes it able to survive? 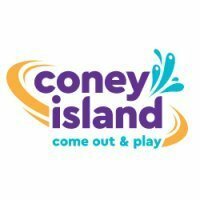 Were Coney's past woodies actually torn down from damage? Or was the executive move for KI merely because they didn't want to deal with the floods? SFOG's woodie was designed with backwater flooding in mind. Coney of Ohio, is, however, subject to riverine flooding, which could be higher velocity, and cause far more damage. As much as I'd like for Coney to get a GCI, or something if the like, I just don't think it would be a good decision. I'd be too concerned about the aforementioned flooding. Flooding is a fact of life at Coney. There were wooden coasters at Coney back in its heyday, and they managed just fine, despite the floods. I`ve heard some things about what might be in store for 2017. I won`t say too much, but will say that not every improvement that parks get come in the form of a shiny new attraction. What do you think at Coney needs a little love? Some of the walkways. I never realized what that was like until I had to navigate it in a wheelchair. Other than that, mostly just painting some of the rides that are starting to look like they're sad. Like the ferris wheel. The arcade also seemed lonely? Is that the right word? But what do I know? I'm just a stupid kid. Don`t expect anything major to hit at Coney in 2017. From what I have heard, just general park improvements. Im still on board for a small-medium wooden coaster or some variant of a Wild Mouse/Bigger portable coaster...maybe something like a Gerstlaur? I think I also brought this up in previous prediction posts, but if Coney could even spruce up some of its flats like Knoebels, that would be amazing. I'm talking stuff like enclose the Scrambler with fog machine/disco ball/music etc. Its an easy enough upgrade, and does wonders to the ride experience...Also, now that they seem like more of a common attraction, can we get some flyers please? I'd be content with them replacing Python with a good wild mouse or maybe even something along the lines of Waldameer's Steel Dragon. Never! Not-so-Pepsi Python was my baby back when I worked there, so I can't stand to see it go. Capacity may have been crap with 2 6-passenger trains and a very late-course block to clear, but its still a pretty unique model that there aren't too many left of (different manufacturer and model, not exactly the Galaxi model some of it's counterparts are based on). The park has plenty of room for a 2nd coaster, and I think that will really boost Coney's appeal to have a second key attraction. I'd say Wild Mouse variant or the like or a wooden coaster, because that fits the general image the park already has, and there is plenty of room to expand thanks to all the land not used for events or attractions.